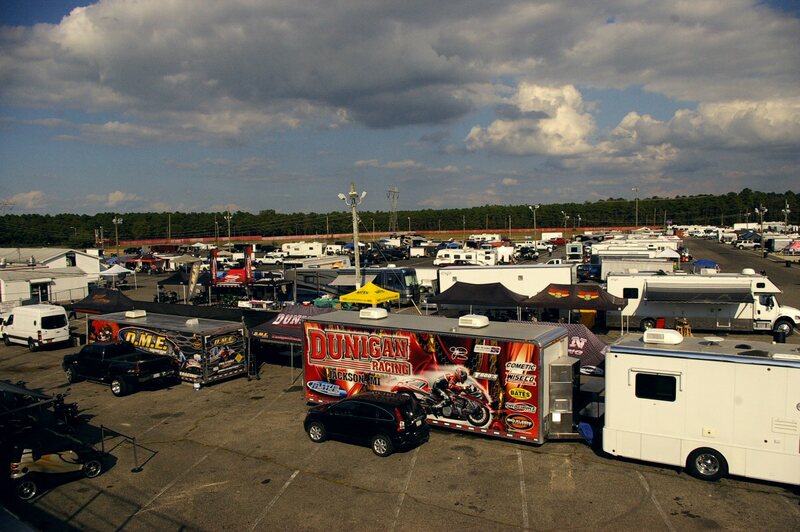 There is a lot of motorcycle drag racing history at Atco Raceway. After a few years without the event, the MIROCK Series and Orient Express wrote a new chapter in U.S. Nationals record book. Please take a moment to visit the Orient Express website to say thanks for helping this historic race survive. Our own Tom McCarthy was on the scene and shared some great images. Click on the image for a larger view. 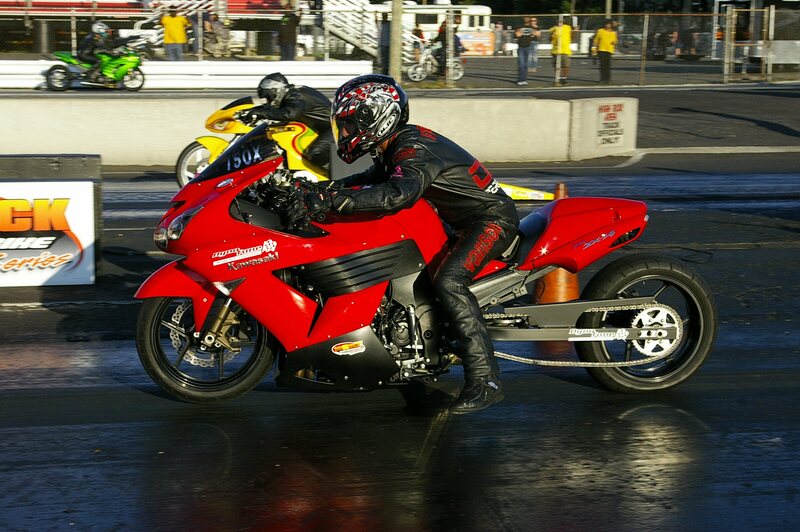 Bob Carlson’s potent Kawasaki continues to be a force to be reckoned with in Sportsman racing. 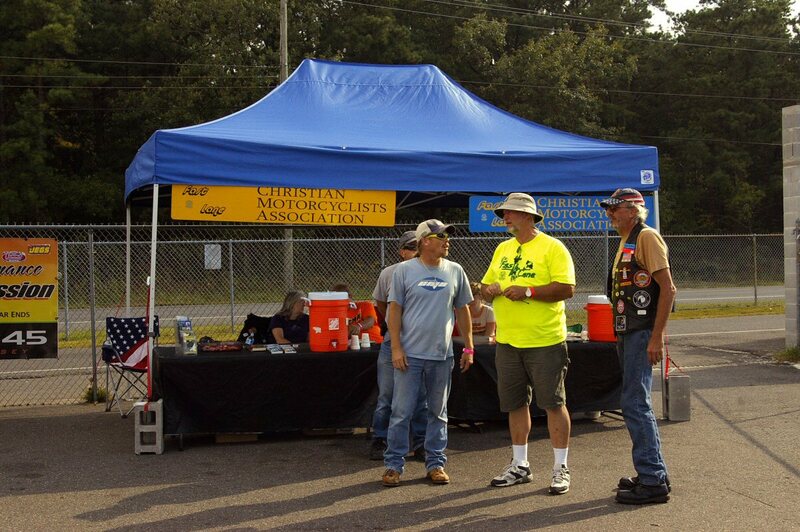 The Christian Motorcyclist’s Association were in attendance at Atco NJ. The Christian Motorcyclist’s had large jugs of cold refreshments that they handed out for free to the racers who were very grateful for the hospitality in the hot sun. Crystal Dickerson, of Millersville, MD gave the lady fans in the house something to cheer about. She qualified 8th in 5.60 Index class and drove well all weekend. 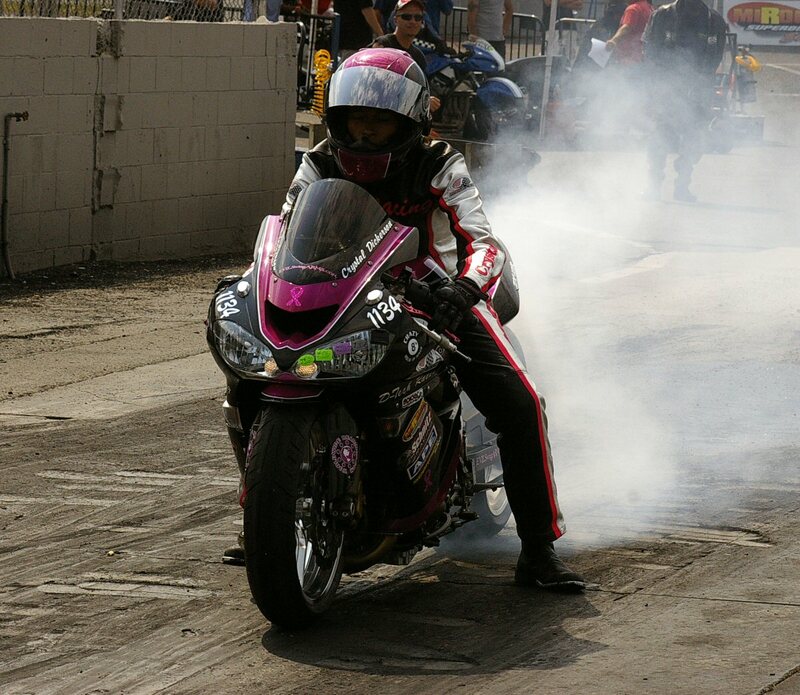 Derek Cesari of Warminster, Pa, won big on Sunday in Top Sportsman with this classic Kawasaki Ninja drag bike, by defeating Ken George of Lansing, Mi. 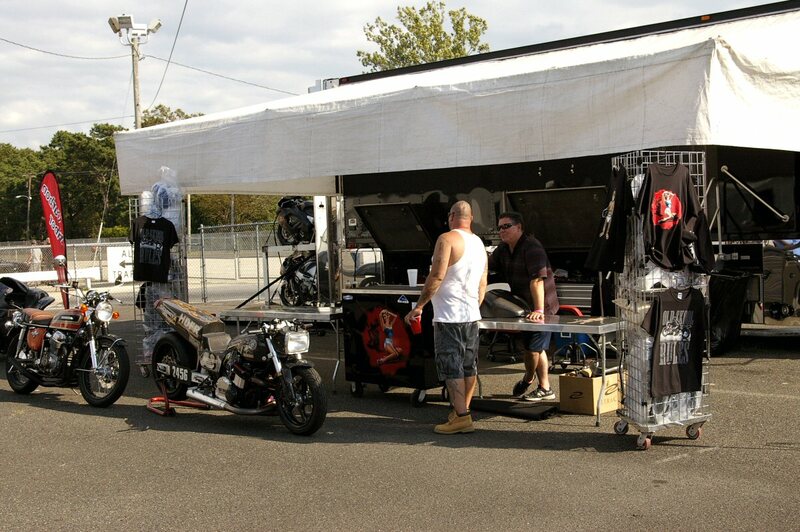 The pits during the MIROCK race were reminiscent of the glory days of motorcycle drag racing when AMA/PROSTAR came to the Pine Barons of NJ. Jimmy Shifflett, “The Hillbilly Hustler” of Waynesboro, Virginia, was in great form at Atco. This veteran of decades of racing continues to give the young guys fits with his bar-bike. 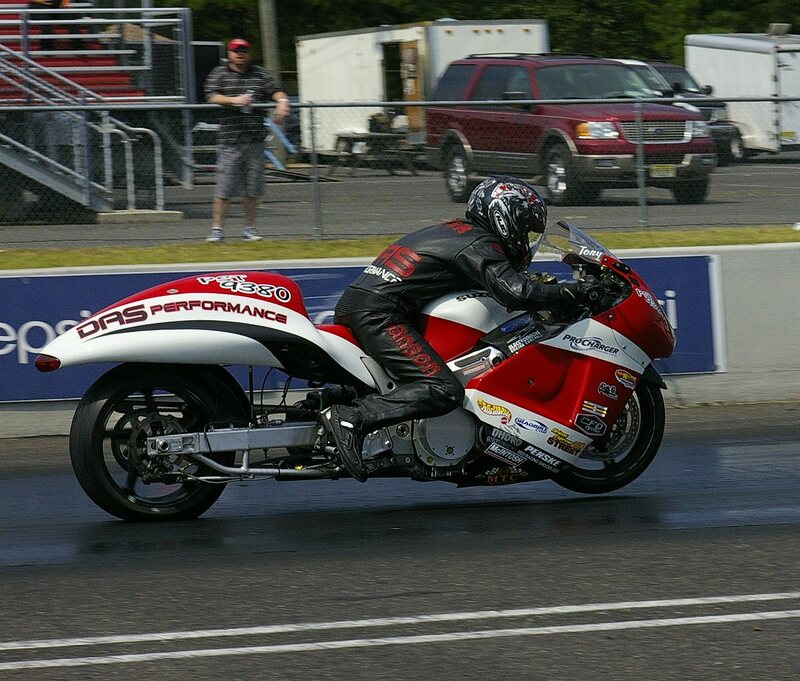 Joey Gladstone, of Townsend, Delaware, in Pro Street was the number one man in the speed department serving up a whopping 215.07 mph blast from his turbocharged Busa. 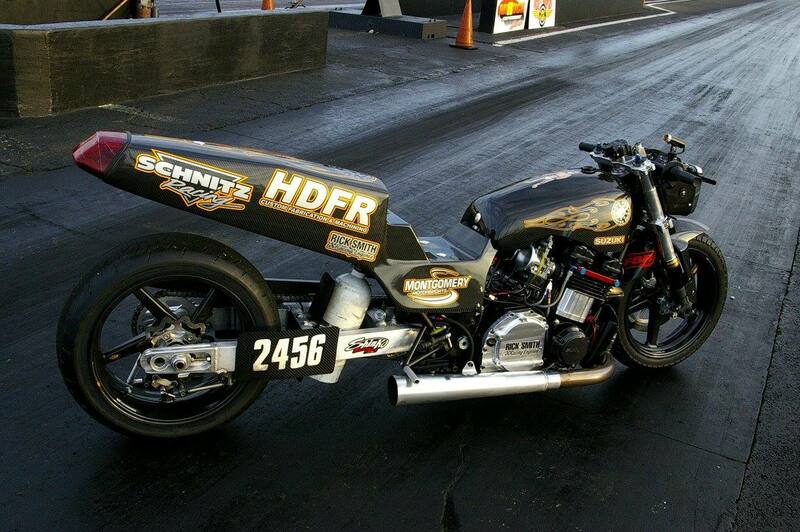 This DME bike is bad on bad! 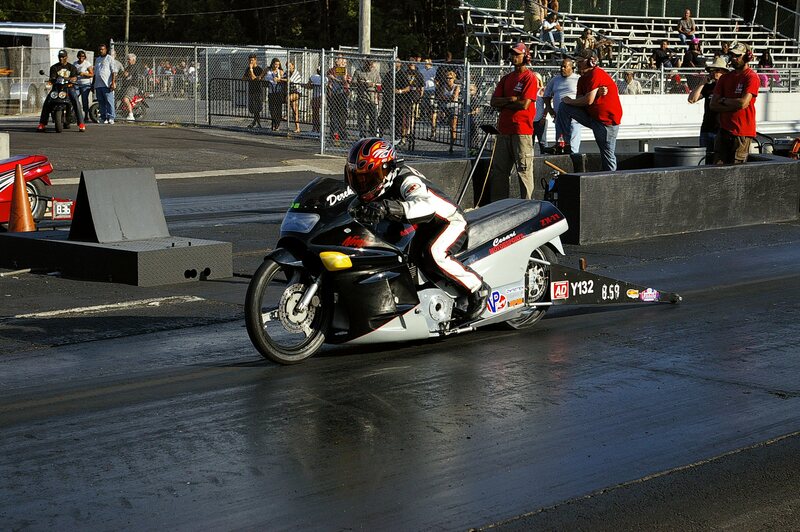 John Dobrin, of Sarasota, Florida, qualified 2nd in Real Street and had fastest speed of the meet at 190.06mph. In the finals, John defeated Darion Payne, of Fredericksburg Va., who had the quickest bike in qualifying with a stout 7.78, but in the last blast Dobrin hit the stripe first. John Dobrin in the Atco Winners Circle flanked by family and friends accepts the MIROCK trophy from Jason Miller, the main man who runs MIROCK. 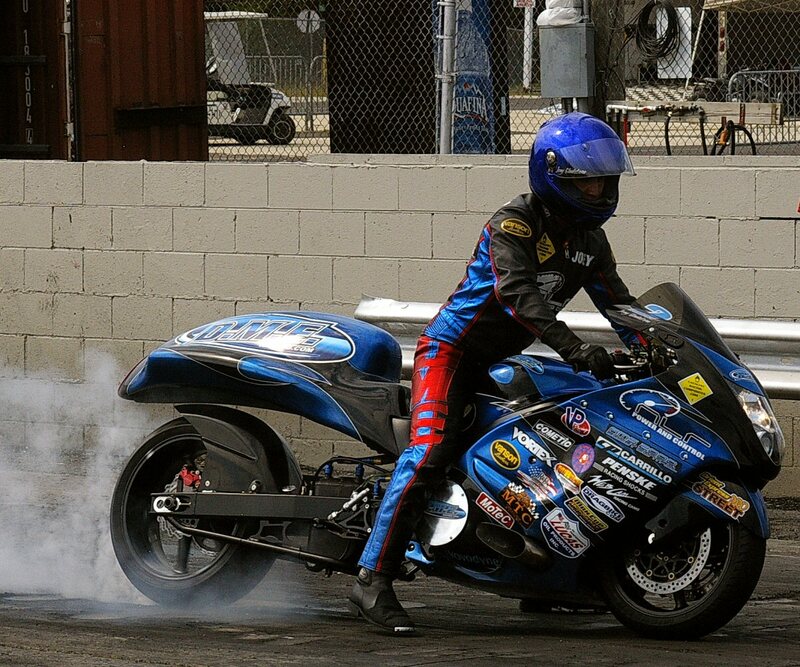 Brad Mummert, who just may have the coolest bike in Pro Street was minus his favorite pilot, who chose to go to another race, but had his bike on display in support of his sponsors at Atco. Fans were in awe of the machine all weekend. Rat man may be unknown to this photographer but one thing is for sure, in motorcycle drag racing, characters are welcome. 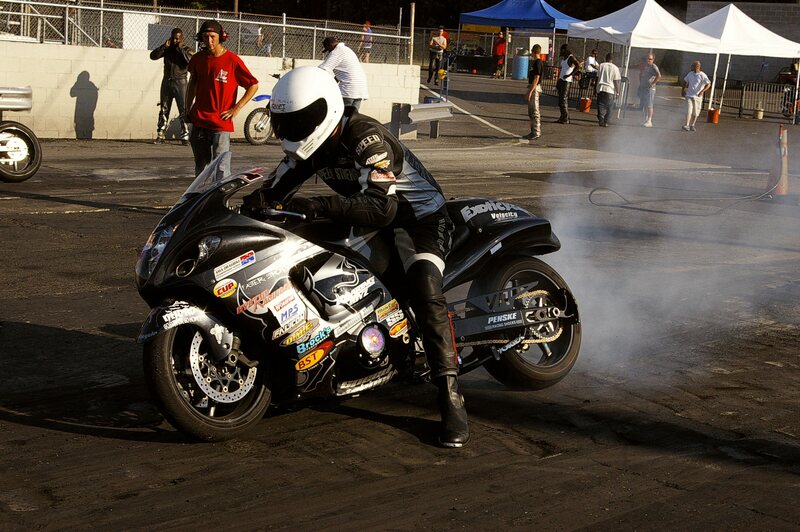 The Team DAS Pro Street bike driven by Tony Ficher set the place on fire with a 6.908 low qualifier number. Despite a solid team effort they could not pull off a 1% back up and went out in the semi-final round. 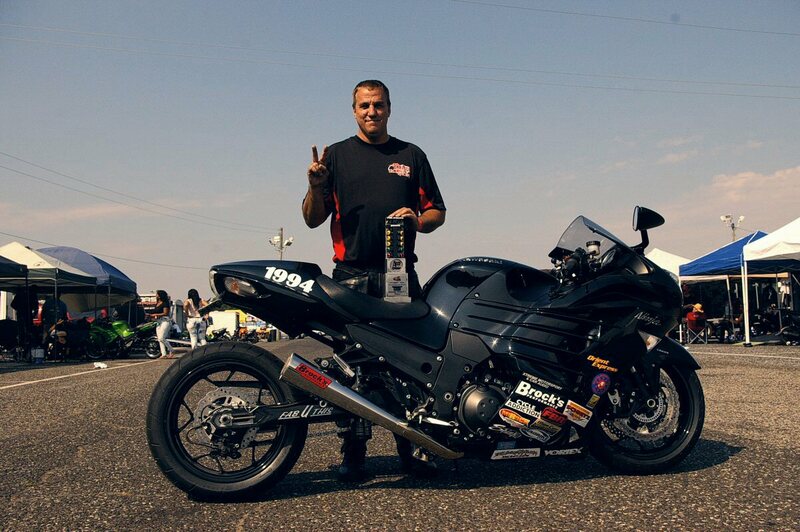 Tony Ficher defeated all comers in 5.60 Index Class racing. 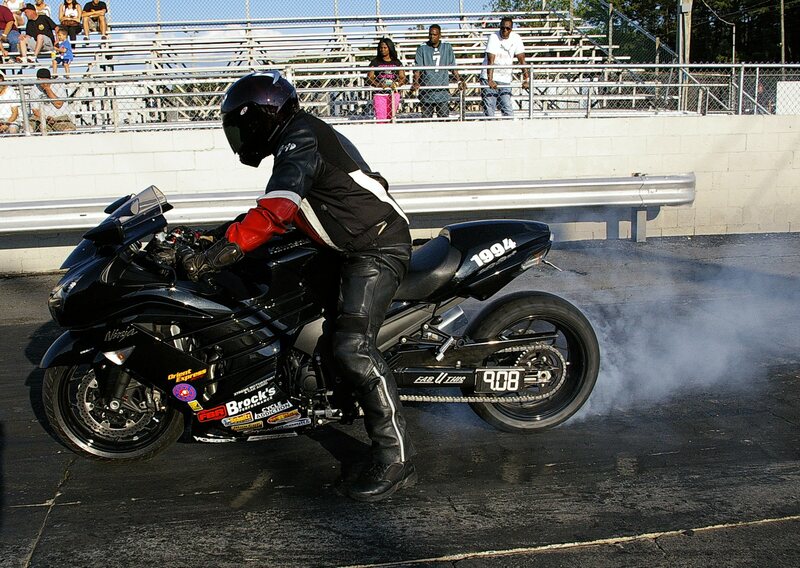 He swept the class by defeating Kelvin Bradley, of Portsmouth, Va. in the final round, 5.603 to 5.610. Tracy Slemker, from Clayton Ohio, of Montgomery Motorsports, spent much of his weekend working with the crowd as an educator about carbon fiber products on racing machines. 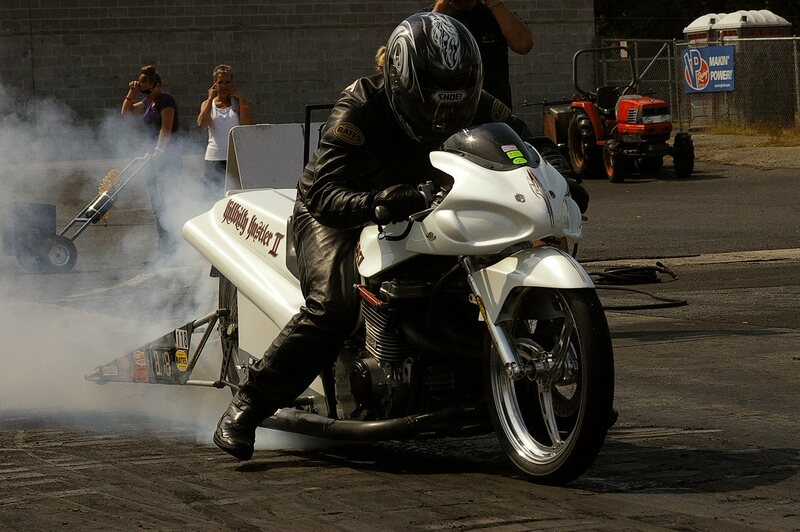 With the Brad Mummert Pro Street bike on display, he had a lot of explaining to do. All of the many vendors at the Atco, MIROCK event did well with crowd interaction. 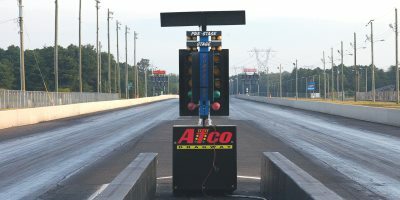 Atco Dragway is a much improved racing facility in every way. 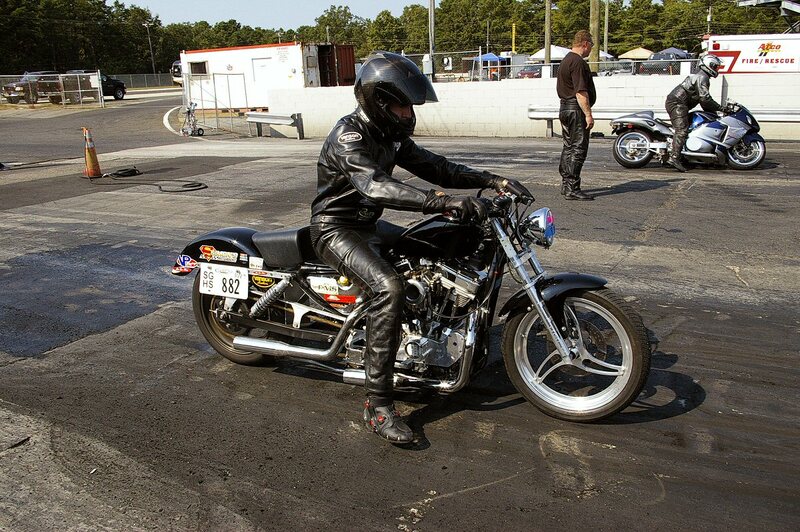 On September 6-8, the MIROCK motorcycle drag racing sanction brought the Orient Express Motorcycle U.S. Nationals to life at Atco. 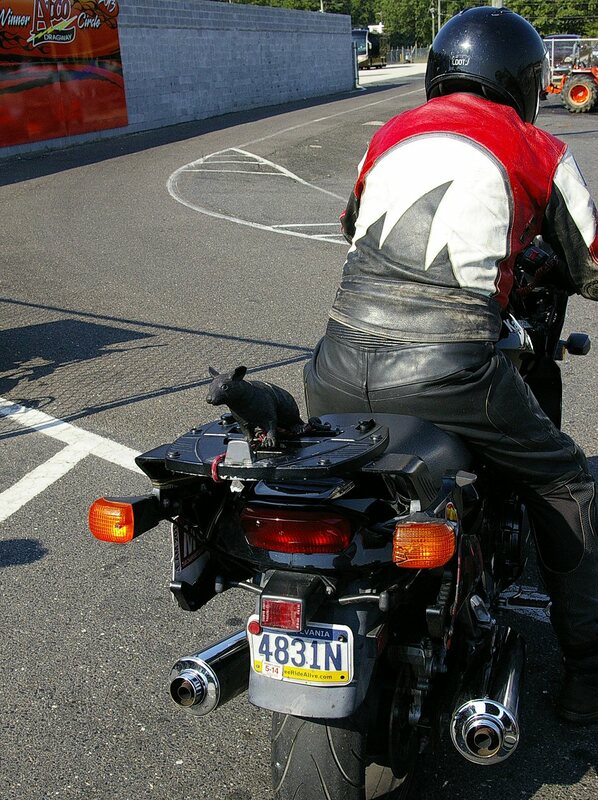 Close to 400 motorcycles were in attendance for the race. Jason Miller has already announced he intends to repeat the event in 2014. 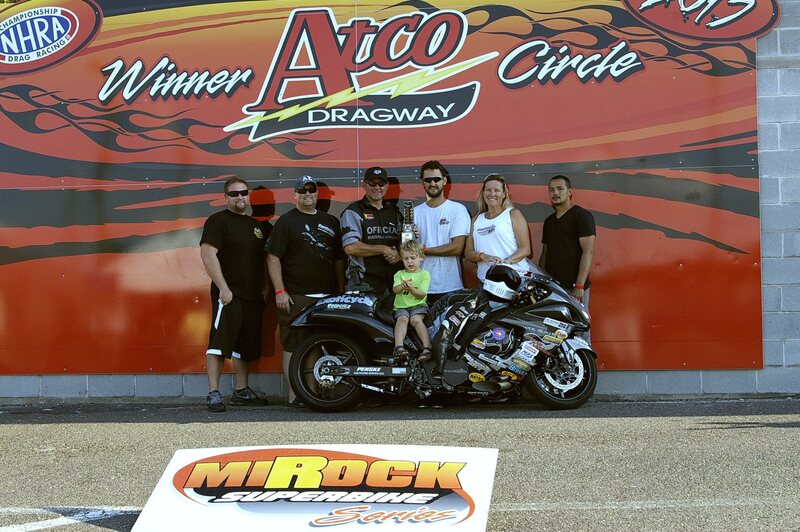 In Street ET on Sunday, Kevin Gauntt, of Egg Harbor, NJ, became the first ever Harley Davidson drag bike racer to win a class with the sanction MIROCK. 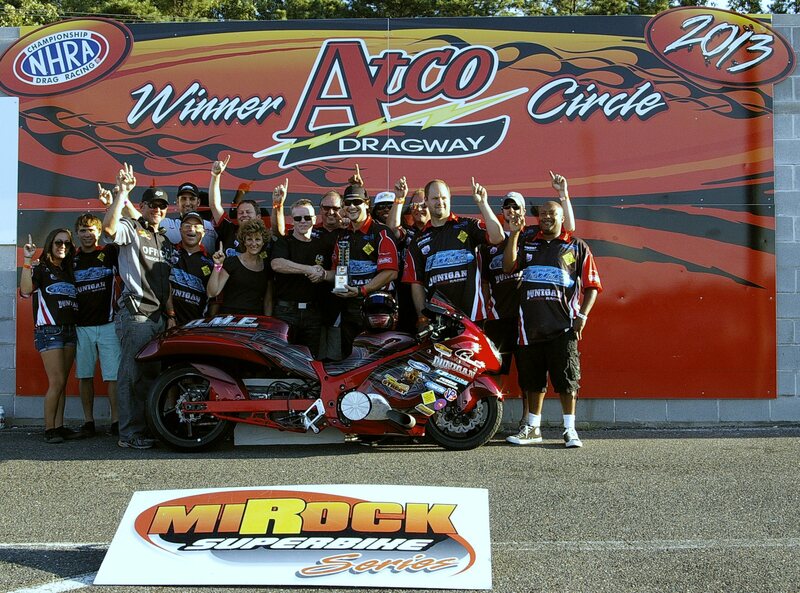 MIROCK itself put up the ONE THOUSAND DOLLAR bounty to any Harley Davidson racer who could do the deed, and Sunday night, Kevin was one happy Harley racer!